A view of a cable-stayed bridge over the Zolotoy Rog [Golden Horn] Bay, Vladivostok. 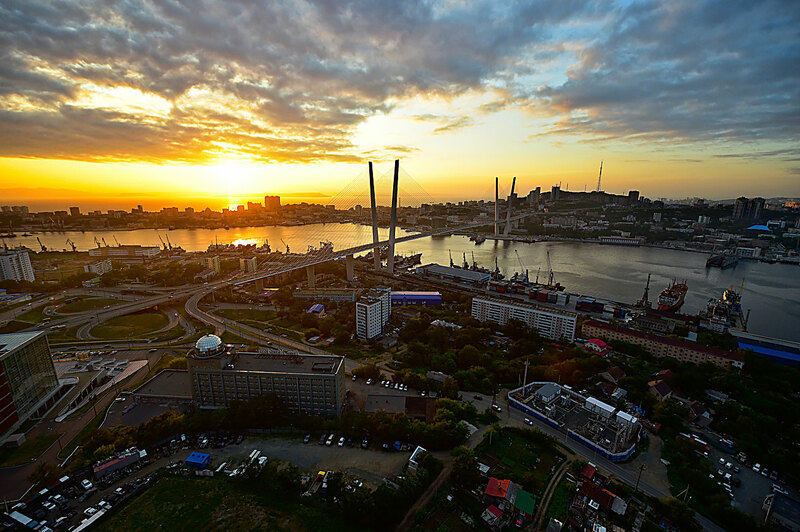 Tigre de Cristal, the first casino integrated into the Primorye entertainment resort in the Russian Far East has yielded almost 500 million rubles ($8 million) in tax revenues and payments to extra-budgetary funds during the first year of its work, the regional administration said on Oct. 21. "G1 Entertainment, a resident company of the Primorye integrated entertainment resort, launched the work of its first facility, Tigre de Cristal, in October 2015. According to information of the Primorye Territory Tourism Department, the work of the first casino has yielded almost half a billion rubles for the state in tax deductions and payments to extra-budgetary funds. The organization also said that over 190,000 guests have visited the hotel-casino compound since the beginning of 2016," the regional administration said in a statement. More than 1,000 people visit the compound daily, 30 percent of whom are tourists from China and South Korea. Tigre de Cristal also accommodated over 100 guests and participants in the Eastern Economic Forum who highly appreciated the level of services provided by the hotel and restaurants. The casino’s key investors also include the Malaysian company NagaCorp Ltd., Royal Time Primorye and Diamond Fortune Holdings Prim. The Primorye gambling zone is being built in the Muravyinaya Bay near Vladivostok on an area of 620 hectares. Apart from entertainment centers and the casino, there are plans to build four 5-star, seven 4-star and four 3-star hotels. The compound will accommodate 12 guest villas, a yacht club, a multi-functional trade and exhibition center, several movie theaters, a beach promenade and other tourist facilities.